The wrist is such a complex joint, it’s amazing it doesn’t give trouble more often. Two bones from the forearm, 8 little carpal bones in the wrist and another 5 in the base of your hand makes a total of 15 bones working together to make one joint. If a carpal gets misaligned it can really hurt – often causing pain moving in just one direction. Of course the nerves the control the wrist region come from the lower neck so problems there can affect the wrist too. Your elbow has 3 large nerves passing by, but the most commonly injured of course the ‘funny bone’ – actually the ulnar nerve, not a bone at all. Because of its more exposed location on the back of the elbow, it’s quite easily hit and injured. The joint of the elbow can also cause trouble, especially the outer part of the joint with the radial head from the bone above your thumb. 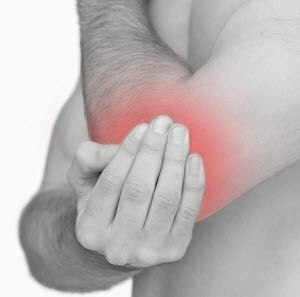 And often the muscles around the outside or inside of the elbow can be subject to overuse syndromes. All of these respond well to chiropractic care.